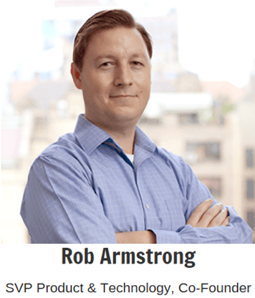 Rob Armstrong, co-founder of Bombora, was looking to expand R&D operations westward from their Manhattan headquarters. Where Bombora landed might surprise many. But it shouldn’t. The company, founded in 2014, is a startup in the AdTech sector providing B2B demographic and intent data for marketers worldwide. By aggregating users into demographic segments, it deploys tracking mechanisms across various actions to include search, white paper downloads, webinars, trade show sign ups, article reads, videos, social content, IPs, and more. Started in January of 2016 with four desks located within the Reno Collective, by the end of the year Bombora was sixteen strong and occupied a 2,000-sq. ft. open floorplan space in a Class A building, with spectacular southwestward views of the local mountains. When Rob began his search for a new R&D tech team office he was faced with a dilemma. With proximity to the greater Bay Area being key due to their business segment and availability to resources, how could they find a beneficial strategic location as well as gain agility and operate more quickly in launching new products and services into the market? This was no easy task, and thus the search on the road west began. Boulder perhaps? What about Salt Lake City? After all, both lie on a major corridor in route to the Bay Area. Might Boise be an option? Perhaps. And what of the return on investment benefits relative to all up-cost modeling and the balancing act between the varying aspects of access to resources, cost of living, quality of life, and culture? Rob had some serious vetting to do. What about the “Biggest Little City in the World” he was beginning to hear more about? Northern Nevada, specifically Reno, is quickly becoming the place companies are looking to as a strategic location to increase their bottom line by taking advantage of a business-friendly environment for some of the their most crucial business functions. The question for Rob was, as an emerging startup community, would Reno’s expansionary ‘near shore’ opportunities be big enough to close the midcap gap for companies like his, in much larger markets, to build new and/or satellite operation centers? Rob is highly outspoken when he states that, “Reno is undergoing a renaissance of sorts, is highly underrated and largely misunderstood.” As others continue to follow, that perception has begun to, and will continue to change. Expanding to Reno allowed Bombora to gain agility and launch new products more quickly. Ask almost any business owner why Northern Nevada is prime for continued economic growth and almost unilaterally you’ll hear two key words; “business friendly.” But what does that mean exactly and is it easy to take advantage of? With a population base approaching roughly 500,000, Washoe County (Northern Nevada’s most populous and influential county) encompasses a big attitude and a big ambition to be a vibrant hub for growth, entrepreneurship, and broader economic development. When speaking to the greater Reno-Sparks area itself, over 100 companies have relocated in the last three years and Reno itself is ranked as one of the 14 best startup cities in America. 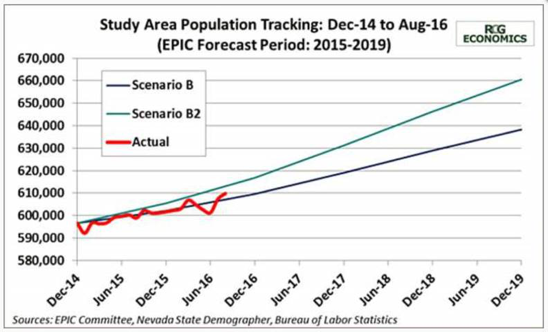 As recently as August, 2016, an EDAWN (Economic Development Authority of Western Nevada) report stated that the region is on track to meet the projected 52,000-plus new jobs and 47,000-plus new residents by 2020. EDAWN continues to be successful in drawing new and retaining expanding companies in our region. Per EDAWN’s new and expanding company reports, in 2014, EDAWN brought in 21 new and 11 expanding companies to our area creating more than 4,200 jobs in five years. In 2015 alone, EDAWN relocated 28 new and five expanded companies with an additional 3,000 new jobs forecast within a five-year period. Note: The full EPIC report can be found here. 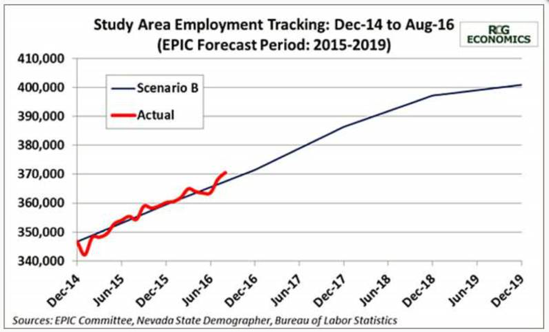 Bill Anderson, chief economist for Nevada’s Department of Employment, Training and Rehabilitation, recently said that, “As of the second quarter of 2016, Nevada has the sixth fastest growing private sector in the nation with a growth rate of 3.2 percent.” Only Utah, Idaho, Florida, Oregon and Georgia realized stronger job growth than the Silver State during the first half of the year. Sales & Use Tax Abatement on eligible machinery and equipment; reduces rate to 2%. Modified Business Tax (Payroll Tax) Abatement 50% for 4 years on new jobs. Sales Tax Deferral setting up interest free payment plan for taxes in the equal monthly payments over 60-month period (5 years). Beyond tax incentives, there are also substantial operating advantages that Northern Nevada offers. Located centrally among the 11 western states, greater Reno-Tahoe enjoys a strategic location as a hub for distribution materials throughout the Western United States. With direct access to 1-80 East-West and US 395 North-South, the region lies amid an extensive transportation network, enabling travel to a large percentage of the Western population within a one to two-day period. Greater Reno-Tahoe’s strategic location provides proximity to ten large metros and creates a significant cost and time savings for many companies. 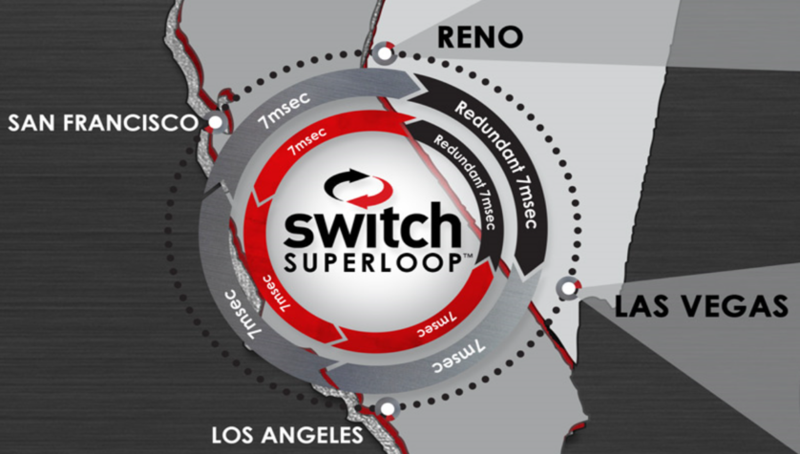 Additionally, Switch worked with the University of Nevada, Reno on the “InNEVation Center” located downtown. In addition to helping design the site, Switch also donated half a million dollars for the center’s interior build out. 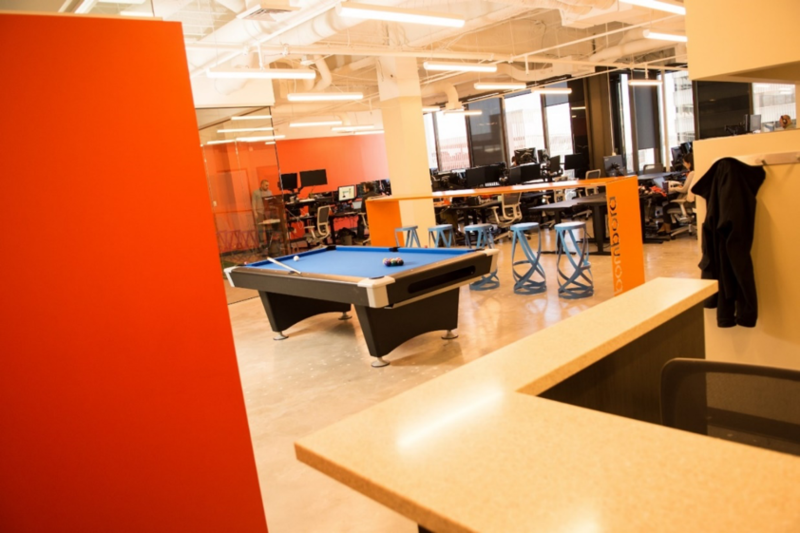 The InNEVation Center features creative spaces to encourage collaborative work between students, faculty, businesses and entrepreneurs. Reno also offers a wealth of room for new and expanding companies with over 72 million square feet of industrial and commercial office space and much more to come by way of exciting large scale commercial projects on the horizon. What of access to human capital and resources? With the University of Nevada’s flagship campus based in Reno (UNR), the city is training the next generation of high-tech workers. UNR alone has more than 21,000 students (including data science degrees), and there are other nearby upper education resources to tap into easily as well. “With plenty of qualified and talented individuals, Reno offers a diverse labor market and we’re getting three times more inbound job requests to join our tech team here than we did in New York, and that’s huge.” Rob continues, “Less wage competitiveness equates to less recurring costs to recruit (and/or relocate), train, and better retention rates.” Not to mention that Reno is ranked in the top 35 best cities for millennials to work based on a recent EDAWN study. relative income needed to have an equivalent lifestyle. Relative to cost of living all-up, Reno is 76.1% less expensive than New York City, and San Francisco is 79.9% more expensive than Reno. For Bombora, given that statistic, there really are no benefits to traveling further west than Reno. As they say in real estate, location is everything, and adding to Reno’s attraction is its proximity to the great outdoors; having access to Lake Tahoe and skiing within 30 minutes of downtown for starters. Having a strong sense of community, four vibrant seasons, endless recreation opportunities, and a balanced life pace, Reno truly is a diamond in the rough and has been overlooked by too many for far too long. Wanting a weekend getaway, should 320+ days of sunshine not be enough, a quick jaunt over the hill brings you to Sacramento at 132 miles, Napa Valley in 192 miles, and finally San Francisco in 219 miles. As with any prospect of a relocation, there is an unspoken “vibe” or sense of community that a city offers both corporations. From Reno’s Midtown food and bar scene, to sports team expansion, to the nationally recognized Nevada Museum of Art, Reno’s cultural landscape is in continuous transformation and the future is only looking brighter. Throw in easy access to hiking & mountain biking trails, farmer’s markets, the Reno Balloon Races, July’s Artown, the yearly Rib Cookoff, Hot August Nights, and the list expands with each passing year. It’s abundantly clear that Reno is off to the races and isn’t looking back. Beyond a weekend destination or the gateway to Tahoe, Reno is rapidly becoming is a place that more and more people are calling home. Nancy Fennel hit the mark when she said, “As we continue our work to attract companies and talent to our region, we need to remember what matters most to companies. It might first be the business climate and tax incentives, but they won’t move unless many of their talent will follow. A company makes the decision to move to our region because it’s the whole package.” Ultimately, it’s the lifestyle options which serve as the bow on the overall package and it’s this ‘new” Northern Nevada which will continue to attract the next generation of entrepreneurs, the next midcap Bombora, and the next Tesla. 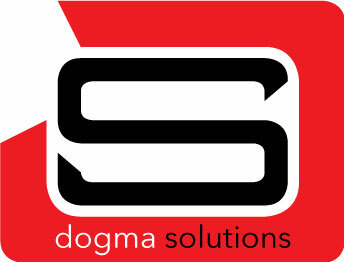 Leveraging 25 years of Fortune 50 experience to enable businesses to reach their maximum potential.